Since the progression of WordPress beyond version 2.5x, the Advanced TinyMCE plug-in has reached its E.O.L. A better alternative that is being kept current is TinyMCE Advanced from Andrew Ozz. Advanced TinyMCE is still available for download for older WP versions. 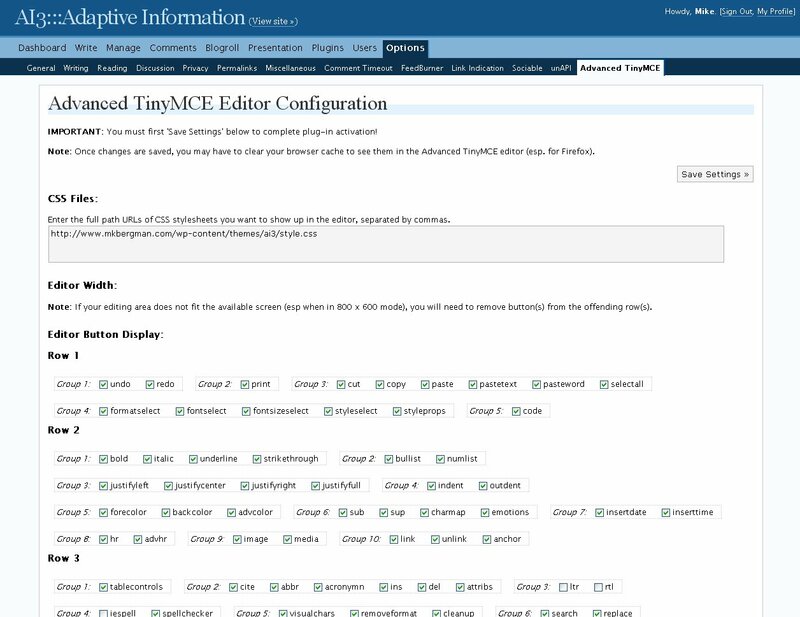 I am pleased to announce a new update to the Advanced TinyMCE Editor for WordPress v. 2.2x. This new version — 0.5.0 — is now much easier to configure and customize thanks to the contributions of Chris Carson of Navy Road Software. 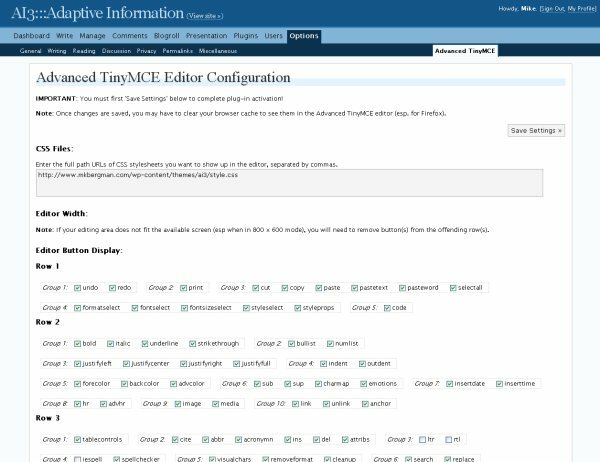 You can download the plug-in and get detailed installation and documentation from the Advanced TinyMCE Editor page. Corrects errors in the standard WordPress visual editor. 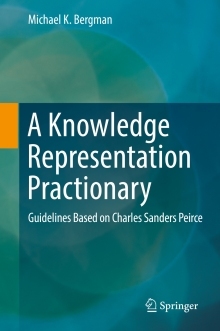 Provides guidance on earlier width problems, esp. for small screen (800 x 600) older laptops. Again, you can get this free WordPress plug-in from here. TinyMCE and its advanced options are from Moxiecode Systems AB. Please note that the Advanced TinyMCE Editory plug-in has not been tested in WP versions prior to 2.2 and has not been tested in all browsers beyond Firefox and IE. Except I get a big fat blank white screen instead of the Editor Configuration page. Probably something to do with wp 2.2? Or something else I’ve messed up? I’ve tried reloading a couple of times and using the dreaded internet explorer. No dice. Any help appreciated. Also, MASSIVE GOOD JOB on all this work! I (heart) Advanced TinyMCE editor. 0.4.0 has been a terrific addition to my blogging experience. This is the second report I have received of problems with the Options page. I don’t know what the problem is, other than perhaps some of the plug-in conflicts I’ve noted in other postings (http://www.mkbergman.com/?p=382). If any user out there has another idea, I welcome you to post it here! I had same blank page. I solved deleting rows from 3 to 11 in “control_panel.php” file in plugin directory. If you remove these lines you can see option page and save the parameters on the first time in “options” from admin menu. Note: I don’t know if deleted lines are useful to some features.. but the plugin seems to go fine!